Clients hire Doug Young to handle sensitive cases with complicated facts. These cover multiple subject areas, including internal investigations; international antitrust or FCPA claims; intellectual property; securities and antitrust; white collar criminal defense; and parallel civil/regulatory proceedings. Doug has tried over 35 cases to verdict and has argued over 45 appellate matters. 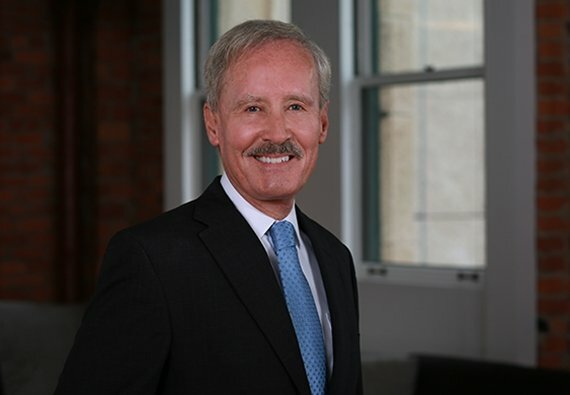 Reflecting his unusually diverse experience, and his 35-plus years of courtroom and counseling experience, Doug is in demand for both his judgment and his technical expertise. In his practice, Doug adopts a primarily three-point philosophy: (1) Apply discipline and rigorous preparation to every case, no matter its size. (2) Understand the client and the client’s needs, yet be willing to challenge the client’s views if advisable. (3) Be appropriately discreet, recognizing when, where, and under what circumstances advocacy (and what type of advocacy) will be the most effective. Clients, peers, and judges attest to these principles: For example: “He is an endless source of wisdom and strategic thinking . . . the kind of guy whom I bring the most serious problems to .” (Client). “He is sharp and very experienced, with real valuable insight.” (Peer). “An enormously skilled lawyer.” (Ninth Circuit judge). “One of the finest lawyers ever to practice in our courts.” (Federal district judge). “Exhibited considerable skill as an advocate [in complex jury trial], a high degree of professionalism, and a true commitment to his client and to the law.” (Federal district judge). Pursuing antitrust and price-fixing claims on behalf of global technology company against foreign-based suppliers of component parts. Defending public company CEO against SEC accusations concerning financial statements. Acting as counsel to special committee of the U.S. Court of Appeals for the Ninth Circuit investigating claim of judicial misconduct. Representing former cabinet-level federal official in connection with corruption investigation. Defending employees and officers of global public companies in federal investigations stemming from allegations of antitrust violations, FCPA violations, and other claims. Acting as lead defense counsel in multi-district class actions involving variety of industries. Doug is a veteran of the United States Marine Corps., and is a member of the Consensus for American Security, an initiative of the American Security Project. Board member and Secretary, Institute for the Study and Development of Legal Systems. Miscellaneous other educational panels, lectures, etc. A trusted resource for my partners and my clients, when the skills of a seasoned and effective courtroom advocate or boardroom counselor are required, I develop solutions for independent and often-parallel civil, regulatory, and criminal crises.